Once you have chosen the topic you want to address, a dissertation proposal is the best place to begin. The purpose of this proposal is to draw in your reader while convincing them that the topic of your dissertation is interesting and unusual, still requiring further research from the direction that your dissertation is heading. A dissertation proposal is an en excellent way to prove to your reader that the title is unique and has depth, showing you have the knowledge to bring your project to completion. Implement steps that brings to the forefront the most compelling points that your work produces. Another key point in creating a dissertation, is choosing not to read any theory or text relating to your chosen topic. It is important to comprehend the overall topic with various reference points. Attempting to cover all the related texts you encounter can actually have a negative impact on the work as a whole. If your dissertation is also going to include a literature review, it is essential to incorporate that into your project well ahead of time, working with your dissertation tutor as you go. This will enable you to detail current hypothesis within your dissertation proposal, giving your work context and points within current information in regards to the topic. "You must learn to walk, before you run." This is excellent advice to keep in mind when you consider finishing your dissertation research before actually writing your proposal. When choosing this route, most students are attempting to create a smooth conclusion as well as giving the paper foundation. This is not a good approach as it makes the work appear to read like it is all conclusion as well as giving the impression that the research was done too quickly. Before the actual conclusion, the student is then looking for ways to explain the results before the conclusion is ever reached. It is best to view a dissertation proposal in simple terms. It's just a proposal, nothing more. There are dissertation proposals that have proven less, but still received high grading simply because the process was done properly. Interesting results do not always mean a dissertation that stands out, even low quality or random results can be written so perfectly that an outstanding dissertation is still created. What topic are you hoping to solve? How did you conclude that this is the topic to address? If you find a resolution, what are you hoping to achieve? What is your research plan in seeking the answers? How did you conclude that this topic was your best choice? Although the above questions provide key points to consider, each dissertation proposal is still formatted differently. Many of the above points to consider may not apply in all cases as each dissertation must be authentic in personal thought. Using the basic questions above can give depth to your proposal while still following a simple format. A dissertation proposal is important in relation to choosing the topic. It is much easier for a student to expand into a dissertation proposal, once the topic has been firmly decided upon. The introduction portion of the dissertation proposal is important as this is where the writer orients the reader in regards to the gathering and content of the research proposal. This is the section that gives the reader an idea of a topic being addressed. It allows a smooth, gradual view of the topic, focusing in on a small piece of the overall picture. Within the following pages, there is more information in regards to dissertation writing. Feel free to browse around. Also included in this website: Dissertation Guidelines, Dissertation Citations as well as Dissertation Topics. If you are creating a dissertation proposal and find you need help. We will be happy to assist you in formulating just the right proposal that will meet all your requirements. TopDissertations is an exceptional dissertation writing company that helps students create dissertations and dissertation proposals of the highest quality. 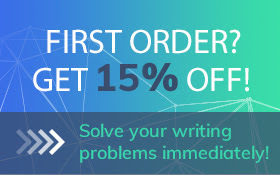 There are more than a thousand writers available to us who are eager to meet our customers' unique needs. They are knowledgeable in all possible industries and fields of study. We encourage you to browse through our portfolio and read our corporate profile where you can learn even more about us. If you have any questions regarding our pricing, discount policies, turnaround time and terms of service, you may contact our customer service department. We understand that creating a dissertation proposal can be frustrating and confusing, so we offer assistance specific to you needs to help make the process for you quick, simple and less daunting. We want to help you create the distinctive dissertation proposal you are working towards.